Natraj is one of the most popular outlet for DahiBhalla. It was established in the year 1940 and selling DahiBhallas for generations.The bhallas prepared here are very soft, daanedaar and fluffy and is served with red tamarind chutney in an old fashioned way. It is sprinkled with DahiBhalla masala, the awesome signature.The bhallas are really great and the tasty masala is the secret behind its tempting savor. A huge crowd gathers in front of the shop, which is a witness of the taste of dahibhallas served at Natraj. 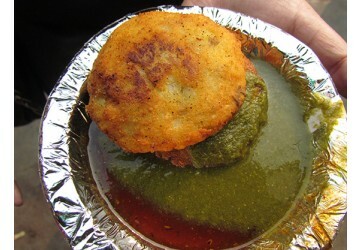 They also serve Aloo Tikki fully hand-shaped & has a daal filling in the center. 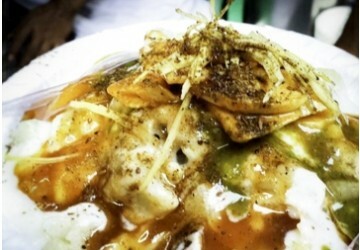 The outer layer is super crispy & the daal gives a new dimension to the chaat. 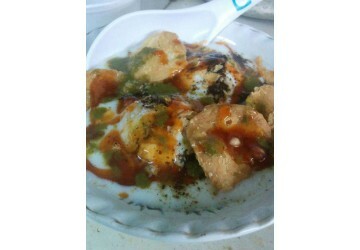 The red & green chutney adds to the taste. you should order to relish the mouth-watering recipes.